Many of you will have read Born to Run by Christopher McDougall. 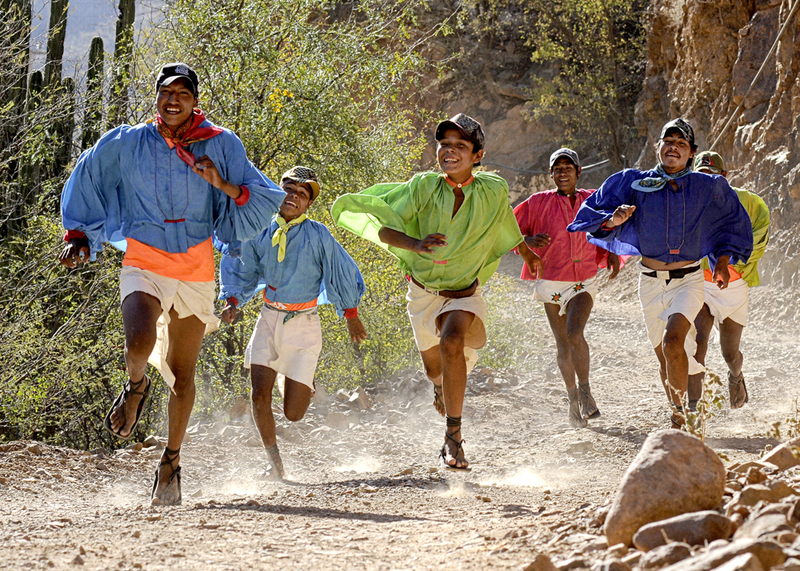 One of the central characters is Barefoot Ted who lived and ran with the Taramahura Indians in Mexico. That book fascinated me and sparked my running journey to barefoot running through Rene & Jason at ChampionsEverywhere. Anyway what has this got to do with Luna Sandals? Well Barefoot Ted is a real guy and he lives in Seattle, WA. Thorough work, I get to visit there ever year and I had discovered that Ted lived there now and had a running store. I wanted to visit for years but since they closed by 6pm I could never get there due to work. Anyway the store assistant explained the different options (soles for road, trail, etc) and lifespan (soles wear after 500 miles, don’t all shoes?). I decided they were worth a punt. Even if I’d only get to wear them in summer – as wet, cold days in Ireland not ideal for open feet. On the way out I was lucky to bump into the man himself. Ted walked in and I was delighted to chat about running. It’s so nice to meet someone in the flesh, when you’ve read about them and been inspired. Anyway what’s the verdict? It took me 9 months as I didn’t start wearing them until June. But since then I quickly adapted and love them now. I wear them around the house, at work and running. They have a single, adjustable strap that provides heel support, so are real comfy and snug. It’s so nice having your toes out and they can splay when you run, absorbing the force through your big toe as nature intended. They remain tight and it’s easy to tighten the strap (it takes a bit of fiddling, but good Youtube videos help). I’m happy running for 60 minutes in them, but 2 hours shouldn’t be a problem. I’m thinking of racing in them, as they will do the job and are easier to put ion in transition of a triathlon. I guess I haven’t tired them for fast/hard running, so will try them at internal training first but don’t see why not. Overall I’m delighted, so can’t wait for my next visit to Seattle to get my next pair. I had just read Born to Run and bought some Freet Footware barefoot shoes, I now have my eyes on the Luna sandals at some point. Un blog qui parle de course à pied, de voyages et qui s'adresse à tous ceux qui aiment jouer dehors.